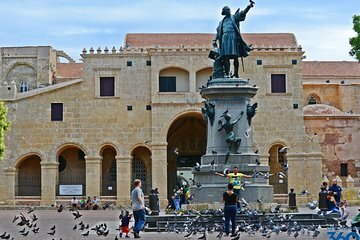 Leave the beach crowds behind on a stress-free day trip to Santo Domingo—a great choice for first-time visitors with limited time. Enjoy easy transportation in an air-conditioned coach and visit highlights, such as Three Eyes National Park, the Cathedral of America, and the UNESCO-listed Colonial Zone. Your full-day guided tour includes entrance fees, lunch, and hotel pickup and drop-off in Punta Cana.